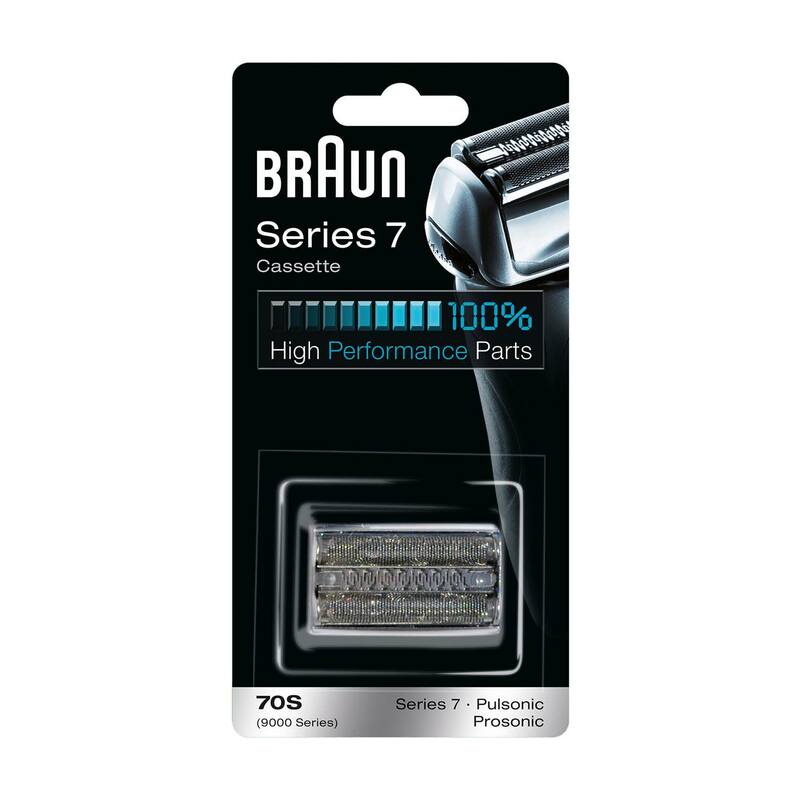 Braun 70S Cassette replacement head silver. For Series 7, Pulsonic. This is a follow up to my previous review. Braun responded to my complaint with a number to call in. I called them and they handled the matter with complete professionalism. They repeatedly apologized and said that they would send me a replacement razor head. When I received it, it was of the quality that I expected and have always experienced before the last faulty ones. They explained that it&#39;s possible that a faulty one or two can slip through but if it ever happens again to call them and they will handle the matter. The Series 7 is a great product and I would still recommend it! I have to write that I do not understand all the negative reviews regarding the Series 7 Replacement Head. The new Replacement Head worked GREAT for me; brought my shaver back to smooth, like-new performance. It made a huge difference, and the quality of the Head is identical to the one when the shaver was new. I agree that the price is expensive (thus my low &quot;value&quot; score), but it did completely bring back the original smooth and close-shave like new. So for me, I recommend the replacement head. Just to let you guys in on a little secret, I&#39;ve had my series 7 for a long time and I&#39;m on my 2nd head.If you removed the head to clean that&#39;s where the problem comes in. Do not remove the head,get you a small cup and add hot water to it and drop in a denture cleaning tablet to it and turn it on and stick head in water and watch the wisker hair come out. Do it several times and rinse. Do it only with good charge with out the electric cord attached. Removing and putting head back on several times will damage the foil. This is a great product. 36 months and still giving perfect shave. This razor is still giving a perfect shave after over 36 months on original foil. It is used daily or sometimes twice in conjunction with shave oil on my face. I have had nothing but good experience with my Braun Series 7 shavers (I bought a second one for a vacation home). My beard is pretty dense but they work well and easily last over a year. My only complaint is that the replacement heads are difficult to find in local stores.